Manufacturer of custom, standard, and OEM optical components and coatings in the UV to IR region. Provides rapid prototyping through volume production. Products include assemblies, beamsplitters, filters, lenses, mirrors, prisms, windows, and wedges. LaCroix Precision Optics has been manufacturing custom precision optics since 1947. Capabilities include spherical, aspherical, and flat optics with an extensive in-house coating department. ISO 9001:2015, and ITAR registered and compliant. 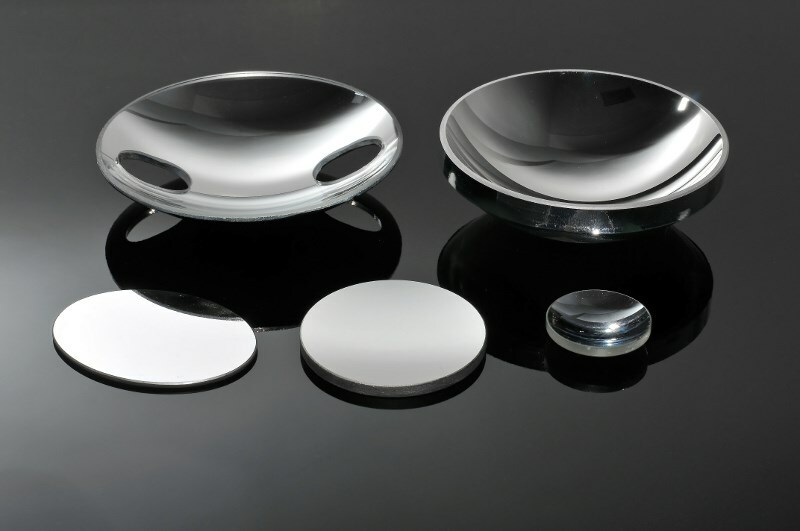 Advanced Optics manufactures custom optics, precision optics, as well as off-the-shelf optical mirrors, windows and optical flats from prototype to production. We carry a wide range of substrates in-house, precision polish up to lambda/20 and provide custom fabrication and coatings. 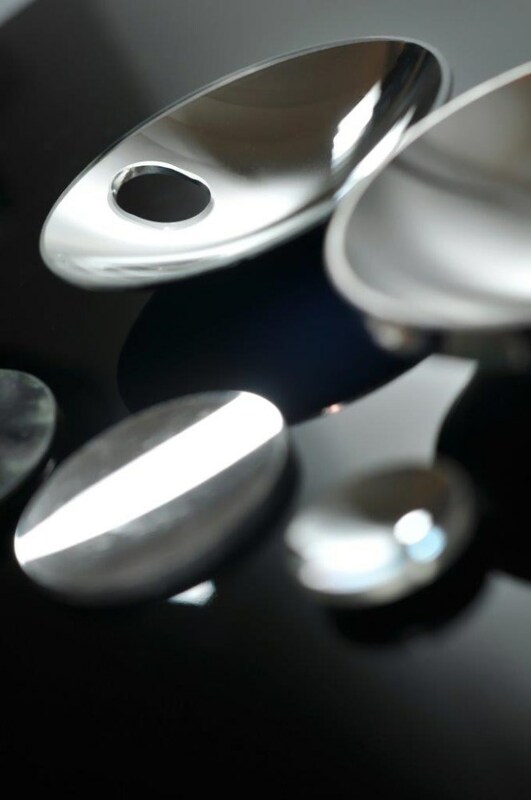 Manufactures precision polished and machined optical elements. Products: windows, wedges, wafers, prisms, filters, CNC machined substrates and cylinders for UV/VIS/IR applications. Capabilities: pitch bed, double-sided and OD polishing; and precision machining and slicing. Materials: optical glass, filter glass, fused silica/quartz, germanium, silicon and float glass. 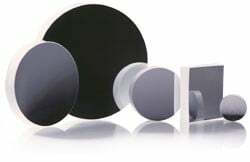 Manufacturer of optical filters and coatings for biomedical instruments and imaging systems, fluorescence microscopy, astronomy, space exploration, and chemical analysis. Manufacturer of custom precision optical components. 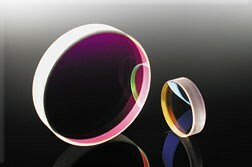 US manufacturer of custom and standard optics for the UV, VIS, and IR wavelengths. 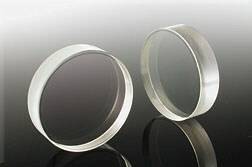 In-house production of lenses, windows, mirrors, blanks, prisms, filters, and optical coatings. For over 60 years, we have proudly offered excellent customer service, low prices, and short lead times. ITAR registered. Manufacturer of custom precision optical components including lenses, prisms, windows, mirrors, cylindrical lenses, filters, and domes. Capabilities include optical coating design and services, assembly and optical systems. Also will modify existing material or catalog optics to meet applications. Manufactures stock and custom reticles, lenses, prisms, mirrors, resolution targets, step wedges, divided circles, absolute and incremental discs/scales, precision patterns and replications, measuring devices, rotary/linear encoders, engineering and surveying instruments and digital readout systems for machine tools. 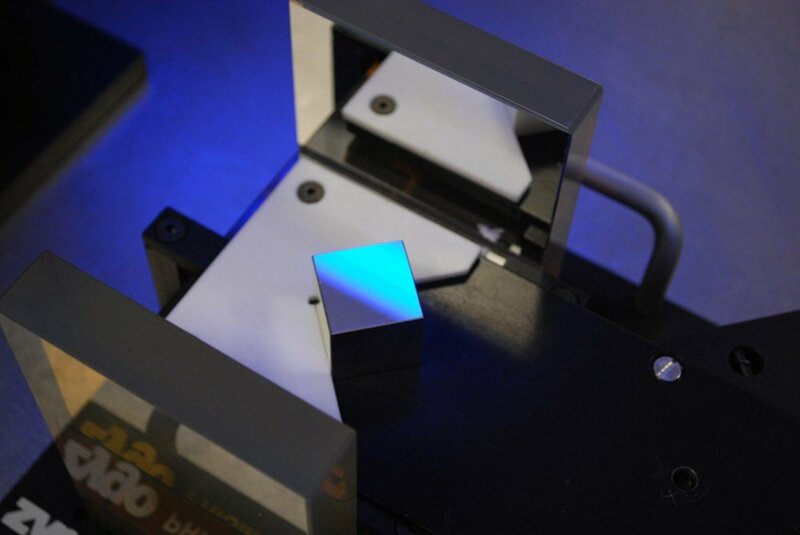 UV to NIR optical coating capabilities include AR coatings, hot/cold mirrors, dielectric films. Specializes in crystalline materials, glass and metal optical components and electro-optical devices. 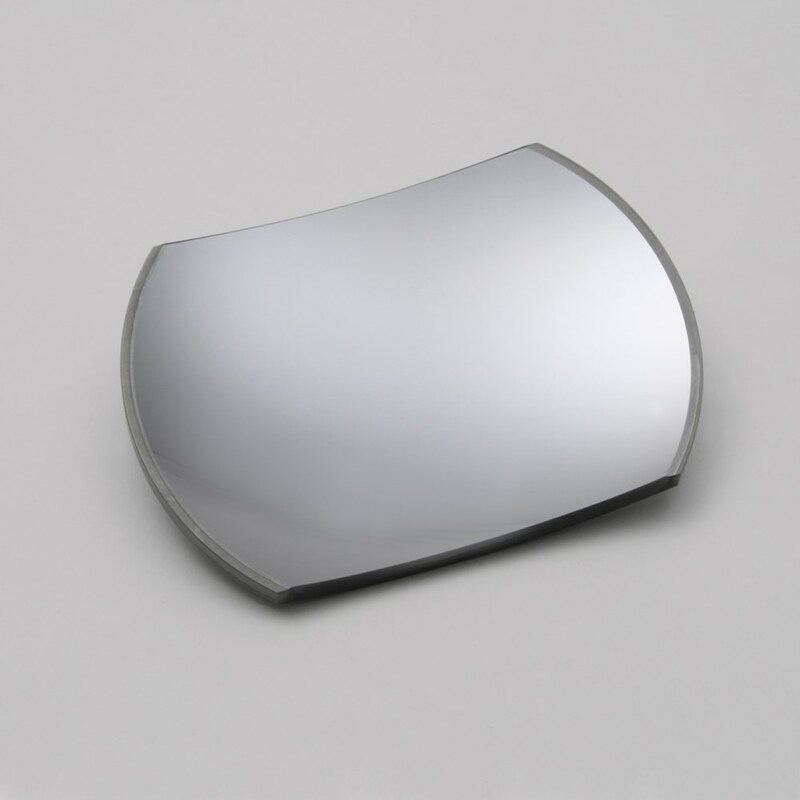 Vertically integrated, products include BBO, KDP, LiNbO3 Pockels cells and Q-switch elements, beamsplitters, ZGP and UV crystals, large transmission flats and mirrors, assemblies, x-ray monochromators, diamond-turned aspheres, and nickel-plated beryllium mirrors. 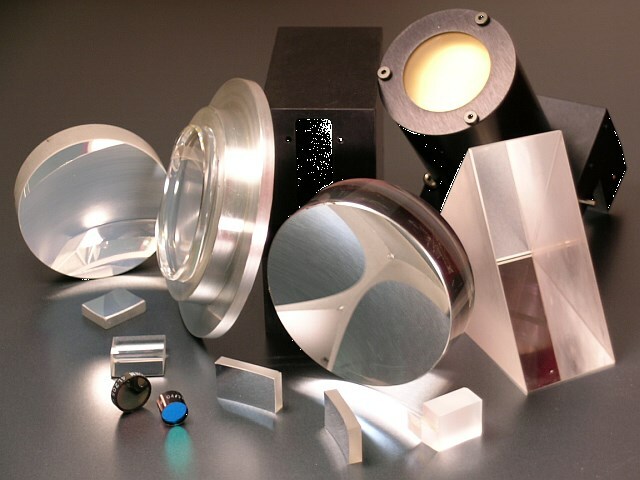 Lambda Research Optics manufactures catalog and custom lenses, mirrors, beamsplitters, windows, prisms, filters, polarizers for defense, commercial, and medical laser applications. Lambda specializes in high-power coatings for excimer, YAG, fiber, CO2 lasers, and FLIR coatings. 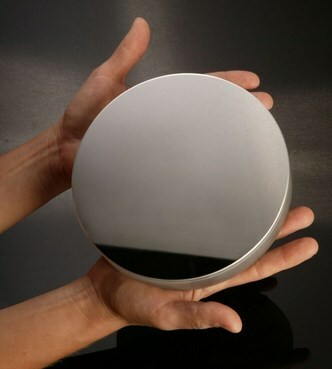 Precision polishing of CaF2, MgF2, BK7, fused silica, ZnSe, Ge, and Si. Manufacturer of stock and custom optical test equipment, autocollimators, electronic autocollimators, interferometers, automatic goniometers, divided circle spectrometers, focometers, collimators, testing telescopes, diopter telescopes, camera testing instruments, binocular testing instruments, alignment telescopes, and alignment collimators. Manufacturer of on- and off-axis mirrors, lenses, windows, flats, crystals, diamond-turned optics, telescopes and beam expanders. Specialties include VUV to FIR large and small optics, aspheres, postpolishing of diamond-turned surfaces, lightweighting, optical and mechanical system design and engineering services. Manufacturer of custom optics, optical replication, diffraction gratings, electro-optical assemblies, metallic and dielectric thin-film coatings for prototype and volume production. State-of-the-art manufacturing, coating, QC, assembly and class 1000 cleanrooms. Serving commercial and defense markets worldwide. 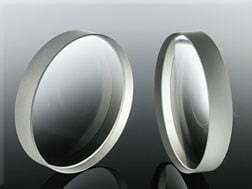 Manufacturer of precision optics, diamond-turned metal mirrors, IR optics, Ge and Si lenses and polymer optics. Products include lenses, prisms, color glass filters, flat optics, achromats, and large mirrors up to 900 mm. Polymer imaging optics, LED lenses, high precision prototype optics, reticles, microscopes, video measuring systems. 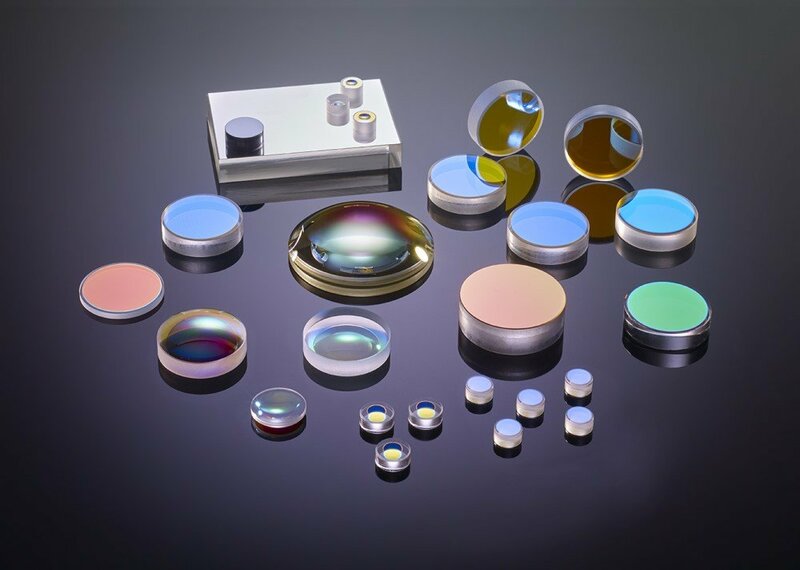 Optics Balzers provides innovative optical coatings and components, focusing on high-tech markets such as sensors and imaging, biophotonics, space and defense, lighting and projection, and industrial applications. Comprehensive know-how in optical thin-film coatings, glass processing, patterning and sealing technologies. PPD provides custom laser optics, assemblies, and coatings for prototype, research, and OEM applications. PPD's precision fabrication, IBS thin-film coatings, and epoxy-free assembly processes enable total optics solutions. Products include beamsplitter cubes, laser mirrors, superpolished lenses and substrates, prisms, polarizers, and Brewster windows. Manufacturer of laser-quality precision optical assemblies and components (VUV to IR) including prisms, mirrors, windows, retroreflectors, filters, plate-type beamsplitters, alignment cubes, polarizing and nonpolarizing cube beamsplitters, and coatings. ISO 9001:2015 certified. Manufacturer of precision optical components and high-power laser coatings from UV to IR. 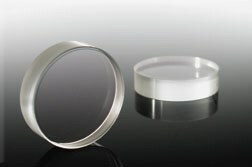 Stock and custom optics: lenses, beamsplitters, filters, windows, mirrors, wave plates, large wedges, prisms, and many more. In-house custom coatings: AR, high reflection, dichroic, and polarizing. Optics from 4 mm to 16 inches. 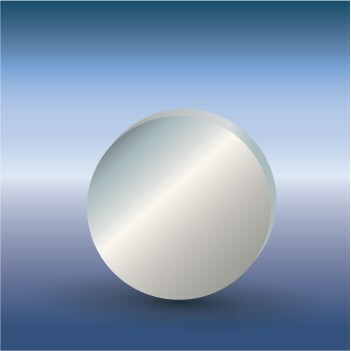 Manufacturer of stock and custom off-axis parabolic mirrors. 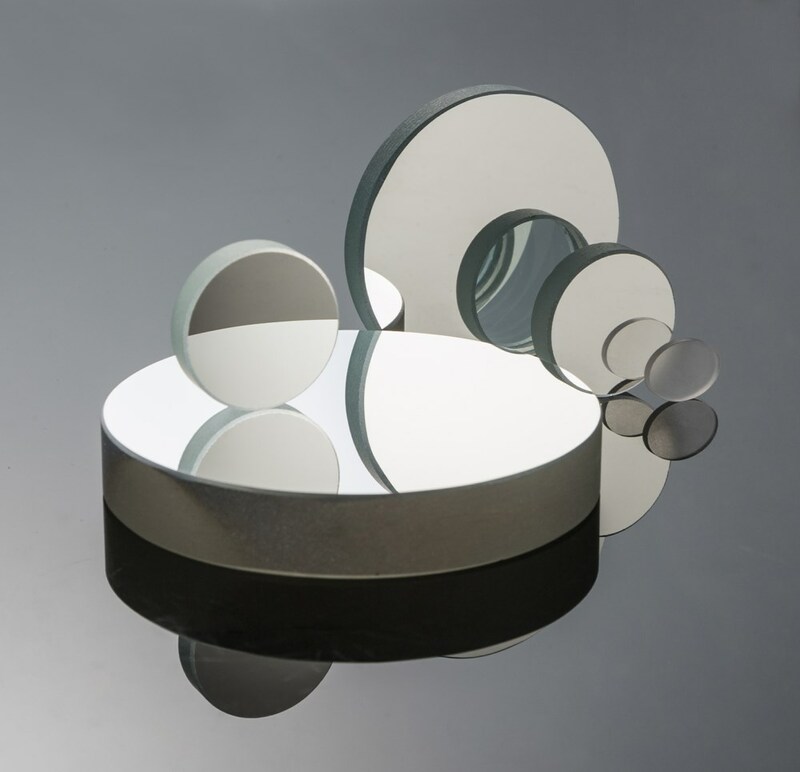 Flat, spherical and aspheric mirrors in ceramic, glass and metal, precision adjustable mirror mounts; reflective beam expanders, collimators, FLIR test stations, lidar telescopes; Fourier transform systems, IR lens assemblies and a LUPI-IIA interferometer. Engineering, design and field services. 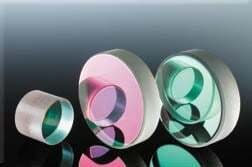 Manufacturer of flat, freeform, and aspheric mirrors (including off-axis parabolic and ellipsoidal mirrors) and plane and concave blazed holographic diffraction gratings. We use optical replication allowing us to supply high fidelity, high specification precision optics at a fraction of the traditional cost of volume manufacturing. Specialists in the optics and photonics market. Optical manufacturer with experience in engineering, production, and assembly of lenses, prisms, mirrors, filters, lightguides, and finished optical systems for imaging and lighting applications. Manufacturer of air-spaced and solid etalons, ultrahigh damage threshold laser optics and interferometer optics. Coatings from UV to near-IR. Optomechanical systems. Manufacturer and supplier of custom optics and catalog stock optical windows, flats, substrates, optical filters, optical lenses, and optical components for OEMs, research, and scientific industries. 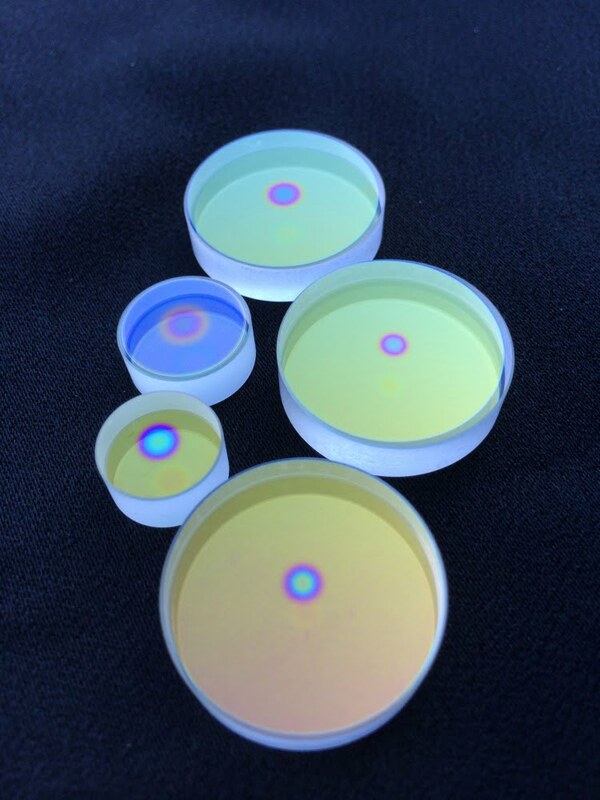 Materials include fused silica, quartz, color/filter glasses, sapphire, and optical glasses. Micro dicing and assembly services. ISO 9001:2015 manufacturer of substrates, windows, wafers, flat optics, precision shims and spacers, 0.127 mm sq to 450 mm diam. Precision lapping, polishing, dicing, CNC machining, wafer/die thinning, edge/angle polishing. Ultrathin 10 to 20 microns, ultraflat, tight tolerances. Fused silica, glass, sapphire, ceramics, metals, many from inventory. The Photonics Buyers' Guide is a comprehensive resource for verified providers of Flat Optical-Quality Mirrors. Profiles and contact information for manufacturers and suppliers are provided by the companies and verified by our editors. If you have updated information about any of the organizations listed, please contact us.